Socialist Party :: Weak Tories must go. General election now! It's been just over a year since construction giant Carillion's collapse. And we are still picking up the debts, estimated at over £150 million. One third of this - £50 million - will be scooped by accountants PwC as 'special manager' in the winding-up process, despite PwC having been an adviser to Carillion! It's yet another burden heaped upon the shoulders of working-class people after years of rip-off 'private finance initiative' privatisations by successive governments. On top of this, we have also endured savage austerity cuts to public services, the indignities of Universal Credit, low pay, and all the other miseries of decaying capitalism. This is the backdrop to the 'meaningful vote' on Brexit taking place in parliament as the Socialist goes to print, which seems set to plunge the Tories into even more chaos. Capitalist journal the Economist commented: "As so often, Theresa May is in trouble. The prime minister is barely in control of her cabinet, let alone her MPs or her party... She is set to lose a second vote on her Brexit deal... and be forced to seek an extension of the 29 March deadline." But we can't afford to just wait for the Tories to implode over Brexit, they need to be driven out of power before they do more damage to our communities. It is this opportunity to lead a struggle against all the misery imposed by a decade of austerity that lies before Jeremy Corbyn now. But to take up this mantle, he needs urgently to end his attempts to placate the defenders of these policies within his own party, the Blairites. It's Blairite-run councils like Birmingham that have been doing the Tories' dirty-work, provoking strikes by bin workers and home care workers. 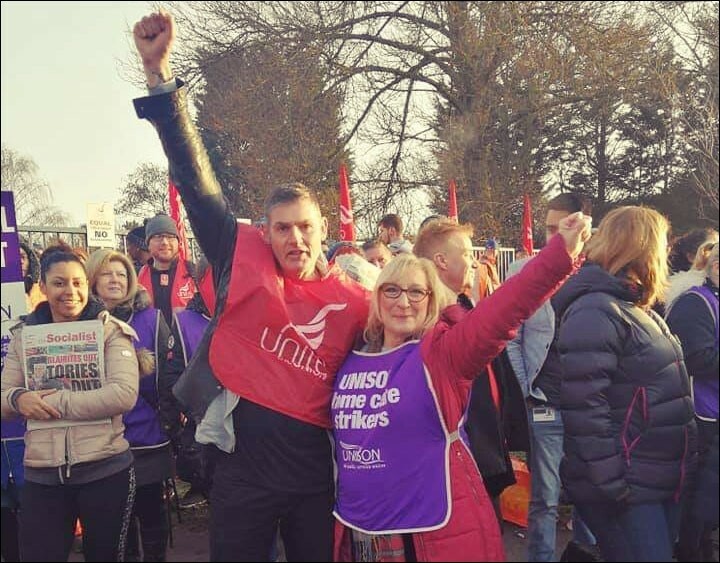 Corbyn should be standing shoulder to shoulder with these workers - fighting back against pay cuts and austerity and with those facing threats to their jobs such as at Honda Swindon, where the trade unions have now called a demonstration to defend jobs. On a national scale, along with the trade union leaders, Corbyn should be mobilising the working class to topple this government and force a general election. Such an election would give the opportunity to come out fighting, with an alternative vision to the Tories' endless austerity, and to make the socialist case for a Brexit that puts the working class, not the interests of the bosses, first.